Today’s the day I’ve been preparing and thinking about for months! I’m hitting the road for South Florida and the SheCon’11 conference! I’m excited to meet new people, enjoy some “me time” and soak up a ton of blogging knowledge. (And yes, I’ll share my blogging notes with you!) Yesterday, the awesome folks of General Motors Southeast delivered a beautiful 2011 Buick Enclave to my driveway and as your probably reading this post, I’m cruising down the Interstate in style! 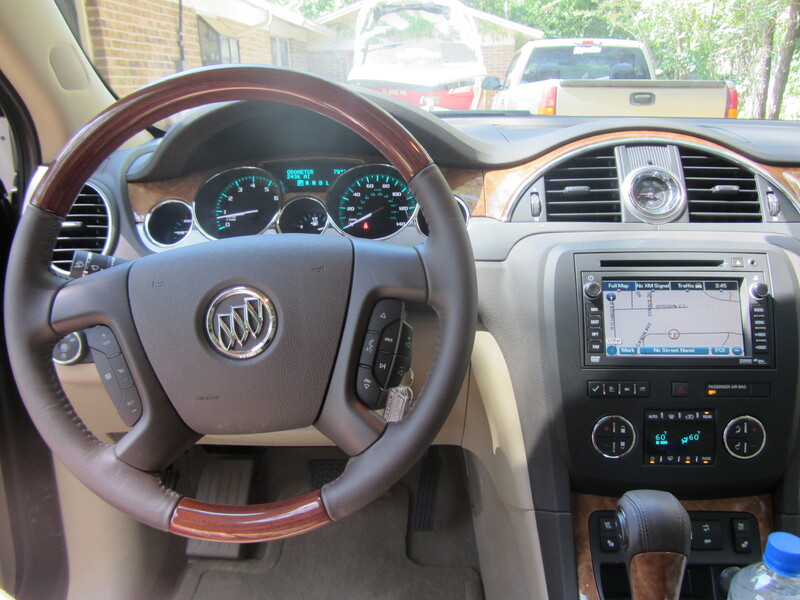 Last night, I sat in my driveway for over an hour checking out all the fancy options the Buick Enclave has to offer….and let me tell you, there are a lot! 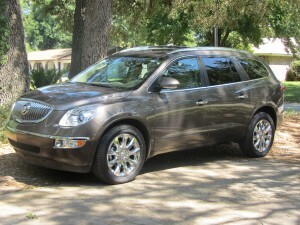 The model I’m driving is a CXL-2 Enclave in cocoa metallic, a stunning shade of chocolate brown. Voice and touch-screen navigation system – Perfect for me since once I get to South Florida, I have no idea where I’m going! 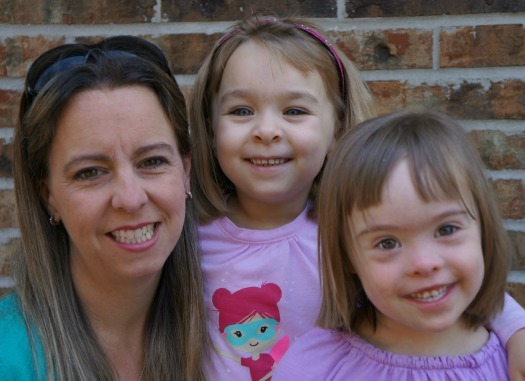 OnStar HandsFree Calling/Crisis Assistance – As a mom, this feature makes me feel safe! Built-in DVD player with noise cancelling headphones – Every mom dreams of peace and quiet on road trips. Memory driver seat settings – I can’t stand for someone to adjust my seat. With memory settings, it’s the same every time. Rearview camera settings – No need to worry if you are going to hit something backing up, just check out the in-dash camera! Tri-zone climate control – Everyone can set their own temperature and air flow. Seven passenger seating – Plenty of room to stretch out with three rows of seating! Two sunroofs – You know I’ll be cruising with both open! So, if you happen to be driving down Interstate 95 in Florida today…be sure and wave, I’ll be the cute mom riding solo in this fancy Buick Enclave! 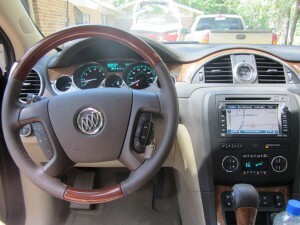 Follow the hashtag #BuickEnclave or follow me on Twitter for updates of my journey! 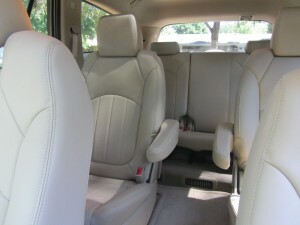 And stay tuned next week, I’m going to put the Enclave to the ultimate mom test with two carseats! Thanks! It was a great drive today – so comfortable! How awesome! You aren’t going to want to give it back when you are done with it, LOL! Enjoy your trip. I can’t wait to hear all about it. LOL. My husband has already warned me that I won’t be getting a new car after I’m home from my trip! It’s a beautiful car! I promise to tweet a lot tomorrow from the conference! Enjoy the ride Carrie!..the conference too..and mostly, you’re mommy “me” time! Thanks Courtney! I’ll be on the lookout for Zippy! Oh, Rebecca!! We are practically neighbors! LOL. I’ll be on the lookout for you tomorrow, would love to meet you! Love the car!!! I also love that cocoa metallic color…so rich looking. Have fun at SheCon! Thanks, Melissa! It’s a very rich looking color…and kinda sparkly too! I love it! Have fun! The car looks amazing! Have fun and drive safe! I can’t wait to hear all about it! Thanks! So far, so good! It’s been a good day! My mother-in-law has an Enclave and loves it! It is a great vehicle and one I wouldn’t mind owning either! Have a great trip down and enjoy the conference! 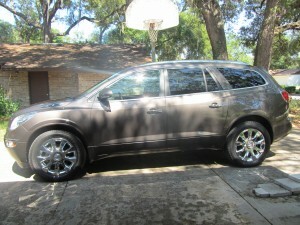 Oh Tesa, your MIL is a smart lady – it’s a really great car! I wouldn’t mind owning one too! Looks like a great ride. Have fun! We’re actually in the test drive phase of our new vehicle search – with the newest addition to our family we need space for strollers, car seats and more – and after your review I think we’ll need to add the Enclave to our list to test! Awesome! It’s really a great ride! After I get back from SheCon, I’m going to test it out with both car seats and my big double stroller! Stay tuned next week for an update! Have fun! The driver seat memory setting are awesome! Ours has 2, so DH has his, and I have mine so there’s no fiddling with the seat after the other one drives. What a sweet ride! Have fun at the conference, mama! That car is amazing! Can’t wait to hear about the conference, Carrie. Have a great weekend!